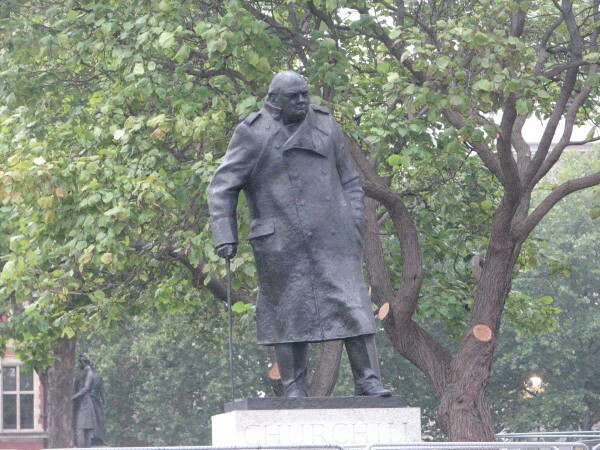 Statue of Winston Churchill near Westminster Abbey. Notice how his collar is turned down? And I got carried away with this one. Sorry. with its broad collar. 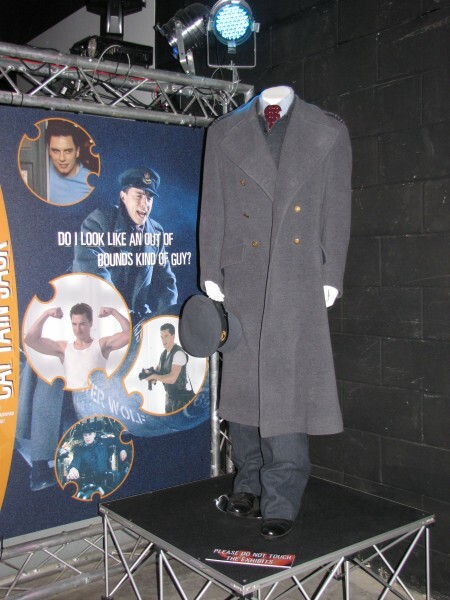 This is from The Doctor Who Experience in Cardiff a few years back. 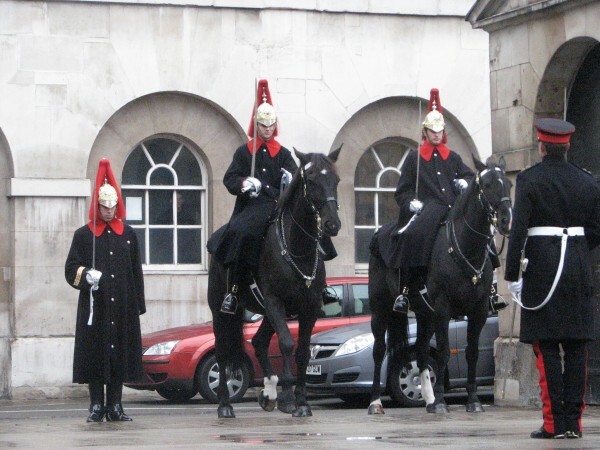 And finally, the bright red collars on the Queen's Guard's coats. What a wonderful assortment! I had a hard time thinking of a 'collar' to share. Does Pippin not have a nice selection of collars? Thank you. I gave up trying to find something and then suddenly all of these turned up. So many clever responses to the prompt! And I've always adored the St. Marc's horses. I'll probably never have a chance to see them in person, but I love seeing photos. They are beautiful in person (does one say in person about statues of horses? lol) and I'm very glad I got to see them while I was still traveling some. I've not done much in the way of travel but what I did manage will have to last me. That one trip to Venice is probably the only time I will see them. St Marc's is lovely. Go if you can. All really good responses to the prompt. 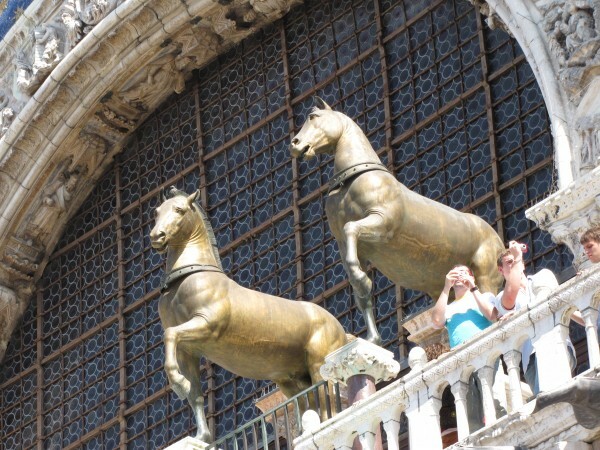 I particularly like the Venice horses. They are lovely when you see them up close. There are four of them but this of just the two was the best photo that I had of them.